Ten locales with great schools, housing and community spirit. For Cathy Oosse, 47, a stay-at-home mom who works three hours a week at an elementary school lunchroom, and husband Mike, 50, a medical sales representative, their best days are the ones spent walking or riding around town with kids Brendan, 17, Brady, 16, Brielle, 15, and Brooklyn, 12. East Grand Rapids, located 30 miles east of Lake Michigan, packs a lot of punch in its 3.4 square miles, and according to Cathy, nothing is more than a five-minute drive away. This proximity to the recreation center, school, downtown, parks and athletic fields has allowed the Oosse kids to participate in multiple activities. There are the movies and concerts at John Collins Park, pickup games at the athletic fields, strolls around 4.2-mile Reeds Lake Trail—all part of the 176 acres of public-use land. 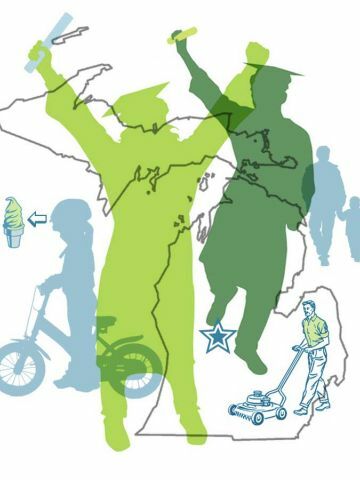 East Grand Rapids’ three elementary schools plus one middle and one high school rank in the top 5% of schools in the state. The district earned a spot on the AP District Honor Roll in 2013, and last year 94% of students scored 3 or higher. In addition, the high school will soon introduce an International Baccalaureate program. Cathy and Mike also like how the schools work to foster cross-cultural competencies. One elementary school, for example, partners with a school in Haiti via Skype for classes in which students learn about each other’s culture. Good Deeds: As part of East Grand Rapids Middle School’s annual Day of Caring this May, more than 700 students volunteered for an afternoon of service. They helped with yard work at a local hospital and pitched in at soup kitchens. 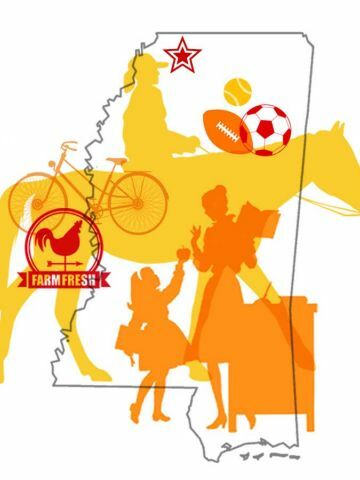 These days, this northwestern Mississippi burg is staking its claim as “the healthiest hometown” in the state. Hernando has added sidewalks and bike lanes, and it hosts one of the largest farmers’ markets in Mississippi. The Whitfields’ favorite gathering spots are Hernando’s several green spaces, including the community center, where Austin played baseball and football, and the Hernando Saddle Club, where Annie rides horses. A $130,000 skate park will be built this summer thanks to a state grant and community donations, and the town was awarded a $610,000 federal grant to build a linear park for pedestrians and bicyclists that will connect two of its parks and schools. Hernando’s schools are run by the DeSoto County school district, which has earned the state’s highest rating. Good Deeds: For the past four years, Hernando High School’s Interact Club has sponsored a community-wide event to raise autism awareness. The club has held a 5K run each of the last three years that has raised about $4,500 annually for local families with special-needs children. Stephanie Huling, 46, and husband Brent, 46, who own a technical recruiting firm, love summer in their hometown, especially hiking the Cascades or going inner tubing or wakeboarding on Lake Sammamish with kids Tyler, 19, Maddi, 17, and Chloe, 14. Surrounded by three large mountains near the tip of Lake Sammamish, this town 17 miles southeast of Seattle is a destination for family-friendly excursions. 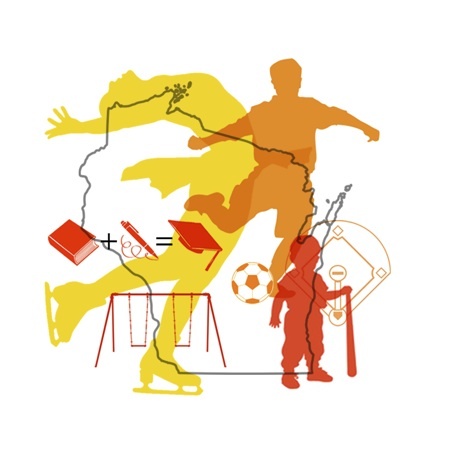 Issaquah’s schools are active and healthy as well. For the past decade, the Issaquah school district has consistently ranked among the top five in Washington on state assessments. 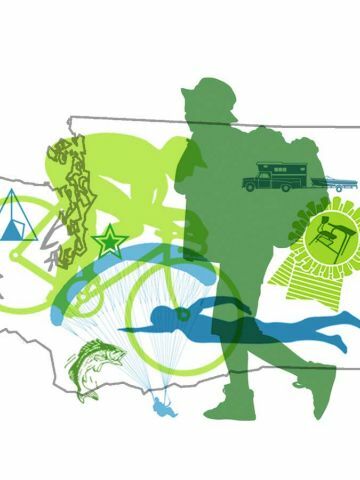 Seven of the district’s two-dozen schools received the Washington Achievement Award for 2014–2015, honoring the state’s top- performing schools. Good Deeds: The Issaquah Schools Foundation invests nearly $1 million a year in student-related programs such as mental health initiatives and after-school homework help. Spotting tennis stars during the annual Western & Southern Open is one of the fun aspects of living in Mason for Bhanu Mathur, 49, husband Sunil, 49, and kids Arjun, 19, and Meera, 17. And while Bhanu and Sunil, both database administrators, still marvel at the accessibility of entertainment options such as Great Wolf Lodge and Kings Island amusement park, their favorite recreation site is the Lindner Family Tennis Center, where Arjun and Meera have taken lessons and volunteered as ball kids for the Open. Originally from India, Bhanu and Sunil settled in Mason in 1993. Since then, they’ve witnessed Mason’s transformation from a sleepy rural suburb into a thriving small city thanks to an influx of multinational companies. “Now it’s the place to be,” says Bhanu. City parks offer acres of fishing lakes, walking trails, ball fields and playgrounds. Plus, a growing network of bike paths connects neighborhoods to schools, parks and downtown. 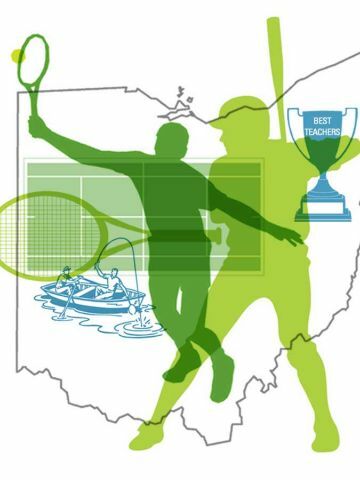 Mason’s school district consistently ranks among the top 5% in Ohio. The high school is the largest in the state, with 3,500 kids. “But it’s impressive how teachers and administrators make sure that kids don’t get lost,” says Bhanu. Good Deeds: In April, the Kiwanis Club of Mason recruited more than 600 residents to volunteer for Community Service Day. Pam Lang, 44, a certified public accountant, and husband Doug, 47, a database marketer for a national bank, moved to Matthews 22 years ago and relish the memories they are building there with daughter Sophia, 16, and son Bailey, 14. Over the past 15 years, Matthews, just 12 miles southeast of Charlotte, has grown and adapted. It has built a new town hall, refurbished historic buildings, expanded its fire department, renovated its police and public works facilities, and added community and arts centers. But although Matthews embraces all the conveniences of modern living, it has remained the quintessential small-town experience for its residents. 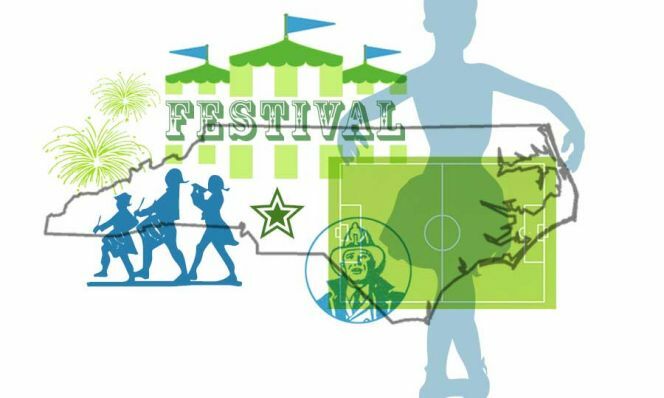 The community mounts multiple events throughout the year, including the annual Father-Daughter Valentine Dance, BeachFest Matthews in the spring, with boardwalk-style food, and a family favorite, the Matthews Alive Festival, a Labor Day celebration that first drew the Langs to this corner of North Carolina. Matthews is part of Charlotte-Mecklenburg Schools, one of the nation’s largest districts, with some 145,000 K–12 students and 164 schools. CMS offers an extensive range of magnet programs in 43 of its schools that nurture the talents of students who have interest and ability in specific areas. Good Deeds: For the past 22 years, volunteers from local groups have assisted in managing the Matthews Alive Festival, the annual Labor Day weekend event that helps support local nonprofits. In 2014 $116,615, the most ever raised, was divided among area organizations. Traffic etiquette is just one of the many perks of living in Pittsford for Micky and her four kids, twins Deven and Ronick, 19, Serena, 15, and Neal, 9. The self-professed city girl, originally from Queens, New York, was surprised at how easily she fit into her new hometown. Rochester’s Seneca Park Zoo, The Strong National Museum of Play, Susan B. Anthony Museum & House and George Eastman House feature a rich mix of family fun and cool American history. The Sanons also relish Pittsford’s whimsical moments, such as the annual Duck Drop Derby fundraiser. Residents purchase rubber ducks and watch nearly 2,000 of them float down the Erie Canal. The first duck to cross the finish line earns its owner a $500 prize. The event raises money for its organizer, Pittsford Youth Services, a nonprofit. But the true jewel in Pittsford’s crown is its school district, which boasts a 96% graduation rate and 97% matriculation rate. Good Deeds: Every December, Pittsford’s two high schools exploit their athletic rivalry to jointly raise money for Golisano Children’s Hospital and the University of Rochester Medical Center. At the fundraising event, known as the Rainbow Classic, the high schools’ girls’ and boys’ varsity basketball teams play against each other. Over the past 14 years the Rainbow Classic has raised nearly $400,000 for hospitalized children and their families. Robin Spear knows a good thing when she sees it. Even when she moved away for college, Robin, 44, an insurance agent, realized she’d eventually return to her hometown. Today she and husband Jeff, 46, who does installation for a home goods store, are raising their kids Tyler, 16, and Joshua, 12, in Waukee. Located on the western edge of Des Moines’s metropolitan area, the town has expanded exponentially over the past decade, making it one of the fastest-growing places in the state. “I’ve seen my small town morph into a large suburb, but it still feels the same as when I was growing up here,” says Robin. Indeed, Waukee is working hard to maintain its tight-knit roots. These days Robin volunteers on the parks and recreation board, and helps plan the same kind of events she attended as a child, such as the annual Fourth of July celebration, Easter egg hunt and WinterFest. 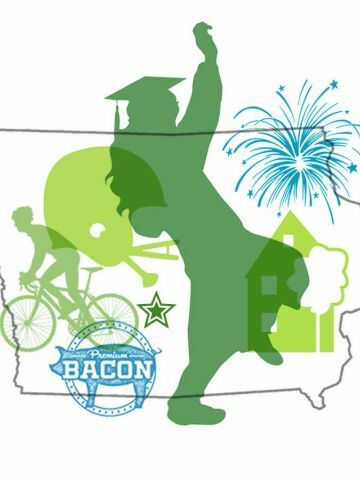 The Spear family also volunteer at newer events, such as BACooN Ride, a weekend bike festival in which participants pedal 72 miles along the Raccoon River Valley Trail, with bacon-themed food stops all along the way. Waukee’s historic downtown triangle is dotted with old homes and new shops. The Spear kids get together with friends in Centennial Park at the sand volleyball courts, on the baseball diamonds and at the disc golf course. “It’s really a great feeling knowing that anywhere we go in town, we’re likely to find someone we know,” says Robin. That sense of familiarity extends to the schools as well. Those that Tyler and Joshua attend are a mix of old and new, since the district is in the process of upgrading. In addition to expanding the high school, it built a new elementary school and has begun construction on a new 8th- and 9th-grade facility. The high school graduation rate stands at 98%, and 90% of students go on to college. Good Deeds: The Waukee police department’s Shop with a Cop program helps needy children make purchases for their families during the holidays. After a pancake breakfast, police officers take about a dozen kids on a buying spree, giving them $110 to spend; they even help the children wrap their gifts. It took one night for Laurie and David Dies to become smitten with Waunakee. Laurie, 55, a special events consultant, and David, 51, executive director of a state agency that regulates for-profit higher education institutions, moved to Waunakee 25 years ago. “It was so close to Madison but felt removed from it. There were walking bridges and quaint parks, and we were surprised about the affordability here,” says David. They were also impressed with the strength of Waunakee’s schools and community for their children, Elizabeth, now 22, and twins Sarah and Tim, 19. The district “Exceeds Expectations” by the state and was on the AP District Honor Roll in 2013. It also ranks sixth in the state for ACT scores, which are above the state and national average. Waunakee also beckons with family activities such as a candlelight snowshoe hike, a spring break family treasure hunt, and a summer Chalk Walk where artists of all ages help create a mural of sidewalk chalk art along the village park. The town’s park system includes 267 acres of parks and conservancy land, 13 baseball diamonds, 32 soccer fields and 23 tennis courts. David and the kids have even kayaked on Six Mile Creek, which runs through Waunakee and feeds into Lake Mendota. “The options available to children here are just endless,” says David. Good Deeds: The Waunakee Neighborhood Connection operates a free store that offers clothing and household goods for residents in need. The nonprofit even maintains a “needs list” for items it doesn’t keep in its store, such as furniture or appliances, and hosts various donation events, such as the Diaper and Laundry Soap Drive and the “Fill the Bus” school supplies drive campaigns. For Amy and Scott Howard, living in West Linn often feels like an abundance of riches. This town 10 miles south of Portland boasts stunning backdrops and plenty of family-friendly activities. Scott, 50, a remodeling contractor, and Amy, 48, a stay-at-home mom, along with daughters Ellie, 16, and Regan, 13, have unrivaled views of Mount Hood and access to unlimited water recreation along the Willamette River plus some 600 acres of parks and open space and 26 miles of trails. Among the family’s favorite spots is the 26-acre Camassia Natural Area and Willamette Falls. 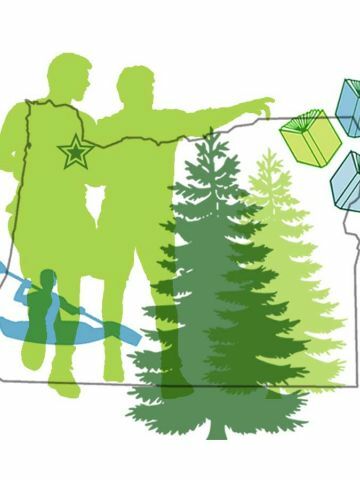 While the great outdoors beckons, so does the town itself, with special events such as Take Care of West Linn Day in May, a community service day and barbecue, and July’s Street Dance in Historic Willamette. But what really defines West Linn for the Howard family is its people. When Scott talks to neighbors and friends about an event he’s organizing for Neighbors Helping Neighbors, people make sure to get details about when and where, and then actually show up to help. That commitment to community extends to education. The high school has received Oregon’s highest rating since 2007, and SAT scores are among the best in the state. Good Deeds: For three decades, the Friends of the West Linn Library have helped support programs such as the Music In The Stacks concert series and summer reading clubs by setting up a used-book shop called the Book Cellar five days a week. The store and a few book sales generate over $20,000 a year in additional revenue for the library. All items are donated by local patrons. For Monica Socas, the best thing about living in Weston is that it allows her to blend cultures and traditions. Monica, 52, who owns an investment company with husband Luis Ortiz, 63, immigrated to this town 18 miles west of Fort Lauderdale seven years ago from Venezuela with youngest daughter Crisol, 18. In her new country, she celebrates not only the Fourth of July and Thanksgiving but a traditional Venezuelan Christmas. Nearly 40% of Weston’s population is foreign born, and 45% of residents are Hispanic or Latino, according to the U.S. Census Bureau. This cultural diversity extends to the schools as well. The family moved to the U.S. when Crisol was entering sixth grade. Initially, Crisol worried about being teased in her new school for not fully understanding English. Instead, she found supportive peers and teachers. She was also exposed to exciting programs, like having NASA astronauts and book authors come to speak to students. The Ortiz family is never at a loss for things to do: Their hometown boasts 14 parks, including the 102-acre Weston Regional Park with baseball, soccer, basketball and sand volleyball courts. “If you could imagine a place to have a family, it would be Weston,” says Monica. Good Deeds: The Rotary Club of Weston has two major annual fundraisers. In December there’s a 5K run, a half marathon and a walk for elementary school students, with net profits going to community charities and the Rotary Foundation. In April the Rotary Club’s golf tournament helps award college scholarships to more than 50 seniors from three local high schools. How We Chose: With the help of Onboard Informatics, a New York City research firm that provides real estate, demographic and other data, Family Circle assembled a list of 4,500 cities and towns with populations between 10,000 and 100,000. From that, nearly 1,400 localities having a high concentration of households with median incomes between $60,000 and $110,000 were selected. We assessed which places met our family-friendly criteria—including affordable homes, quality schools, access to health care, low crime rate and financial stability—and ranked them from top to bottom. Family Circle selected the 10 winners from among the highest-rated towns.